CryptoChain is a community formed by a group of entrepreneurs located in Brazil, enthusiasts of cryptocurrency and blockchain technology, with the goal to disseminate the knowledge and technology in the World. - Disclosure: We are early investors of Trons-TRX, and Our goal is for the Tron network to grow in a healthy way and provide its users with a spectacular and decentralized internet. We have two main characters leading the CryptoChain movement. Both are professors at the same university in Brazil, and care with us the spirit of spreading the knowledge so that we can all grow together. In addition to the university career, we also started early with entrepreneurship, in the telecommunications and automation process field. 10+ years experience in software and firmware development. He has worked as developer, project manager, and researcher for several renowned companies. 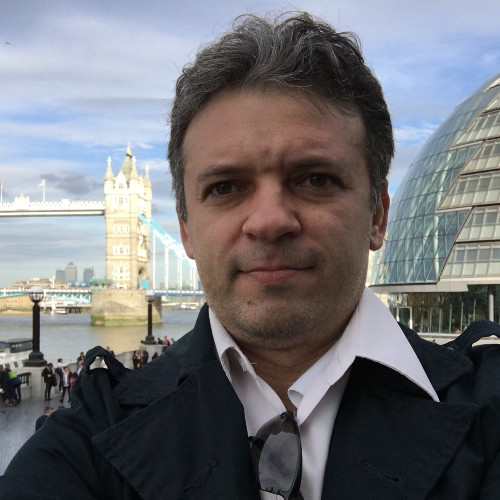 He is currently a professor at the University of Fortaleza and Owner/CEO at NexTech Engenharia. Has a bachelor's degree in Automation and Control System, master's in Power Electronics, current pursuing PhD at ODU university. IT Professional with large experience in Telecommunications (31 years), infrastructure, IP Telephony, Voip, network and internet. Supervision, management, installing, testing and operation of systems and teams (Switching, Transmission and Network). He has a very good sense of humor and his main professional skill is liability with the tasks and objectives designated to him. Another important skill is his capacity for holding multidisciplinary. Our nodes are placed in different continents, we are using cloud service and also bare metal servers. Maintain testnet server up and running for the community. Hardware capacity upgrade plan after June 26th. We plan to monitor the main server load, as well the testnet and backup servers, upgrading the processing and memory as required by the network, ensuring that the server does not exceed 70% of the hardware capacity. In the first two years, we plan to add several redundancy nodes across Brazil and others countries. We have been working hard to improve TRON’s ecosystem. Prioritizing development of dAPP to the network users. Main focus in the past month have been to develop a more simplistic day-to-day use wallet for smartphone. And more recently the hardware wallet integration, which will provide a safer way of transacting. We have a demo of the wallet and the ledger nano s on our youtube channel. We will not stop here. There is much more to come. Our support to the community and developers on Tron’s slack channel is publicly noted . If elected to be part of Tron’s SR, we will be reinvesting part of he rearwards in a creation of a technical team able to disseminate the knowledge and also provide new dAPPs to the network and it’s users, with the common goal of making it grow. Rewards and give away is also part of CryptoChain campaign on TRON’s Mainnet. Mostly we will be sharing rewards with all our voters depending on their participation stake. Our planing is to distribute 50% of the rewards, after server and operation costs. We will be also investing 20% of our revenue into development. Which accounts for 70% total of rewards distribution back to the community. Voters also need to take in consideration our plans for the network growth. As we are investing to take TRX to another level, the accessibility and environment that we are creating allows for new applications and dAPPs, hence an appreciation of TRX value. A set o video streams, most technical content, has already been planed in order to allow new developers to start producing for Tron’s Network. The topics includes, but not restricted to, blockchain, Trons Virtual Machine, Smart Contracts, gRPC, android apps, etc. We have also been supporting the community on slack channel, github and crowdin. We have been running a public test node since the beginning of April. Doing our best to make the test net practicable for the community. The testnet node will be maintained and updated constantly. We will also keep the testnet machines updated after the mainnet release. We have started in advance a formation of our own public test network, which we have been exhaustive conducting tests, in order to obtain the best configuration of server and network topology. This structure will continue after Mainnet launch to ensure the reliability. Our group is constantly reviewing the protocol and code to keep updated to the changes and provide suggestions that could improve its performance. If you want to join our test network, please follow the instructions on https://github.com/fbsobreira/tron-testnet-config. 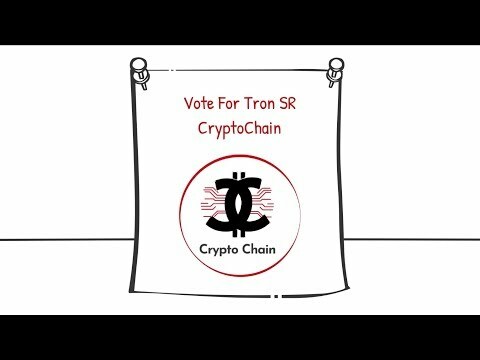 The team social media, as well their companies social media, will be used to advertise our Tron’s SR campaign. Which has 500+ contacts influence each.